Jupiter Project, body art, best dressed, car graffiti – all this Friday! The Winger Group’s 2016 Oaks & Derby Festival at Alexandra Park is set to wind up with a lot of fun this Friday night – 11 March. Anticipation is building for the feature harness race, The Group One Woodlands Stud Derby. However off-track, much of the talk is around Alexandra Park’s new Garden Entertainment Bar. “The garden bar will be the epicentre of fun. We’ve already sold a number of tables and tickets which is not surprising given the excellent value and huge evening we’re offering,” says Alexandra Park Sales & Marketing Manager Joel Reichardt. The Garden Bar package is $120 for a table of four people. That’s just $30 per person and includes an antipasto platter and a bottle of bubbles on arrival, ongoing entertainment including a live performance by Jupiter Project, and access to the DJ after party. The garden bar is also set to be best viewing position for the Scenic Hotel Group Derby Night Fashion At The Races 2016 competition from 6pm. Categories for Alexandra Park’s 11 March fashion competition are ‘Best Dressed Lady At The Races 2016’, ‘Best Dressed Man At The Races 2016’, ‘Best Milliner At The Races 2016’ for the best hat or headpiece designed specifically to be worn for race day wear, and ‘Best Body Art At The Races’. Significant prize packages are up for grabs including Scenic Hotel holidays. 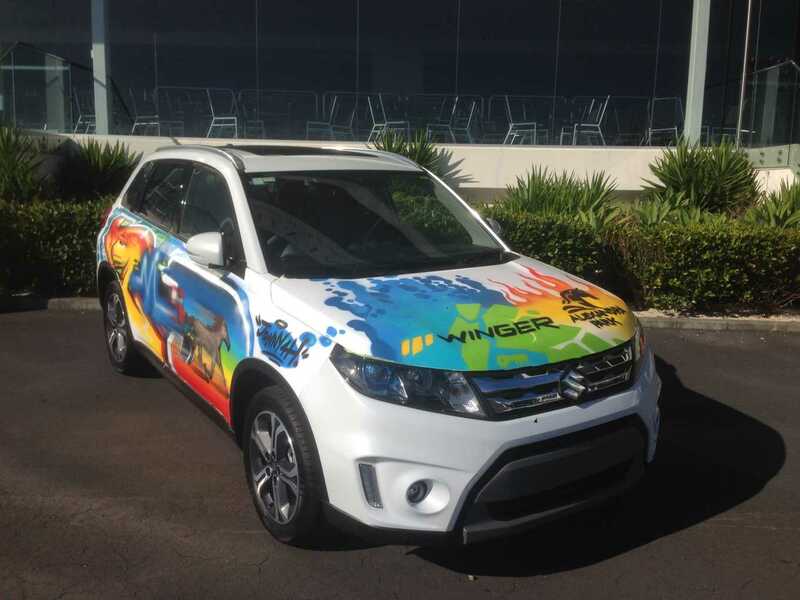 The garden bar will also provide that best vantage point to watch a graffiti artist fully paint a Suzuki Vitara thanks to Winger. While PJ from ZM will be hosting ZM radio competition winners in the ZM VIP area. “We’ve got some wonderful Tasman Room and Top of the Park hospitality packages for Derby Night too. However our new trackside garden bar is proving really attractive to young people. It’s set to be a popular destination this Friday night and into the future,” says Alexandra Park chief executive Dominique Dowding.